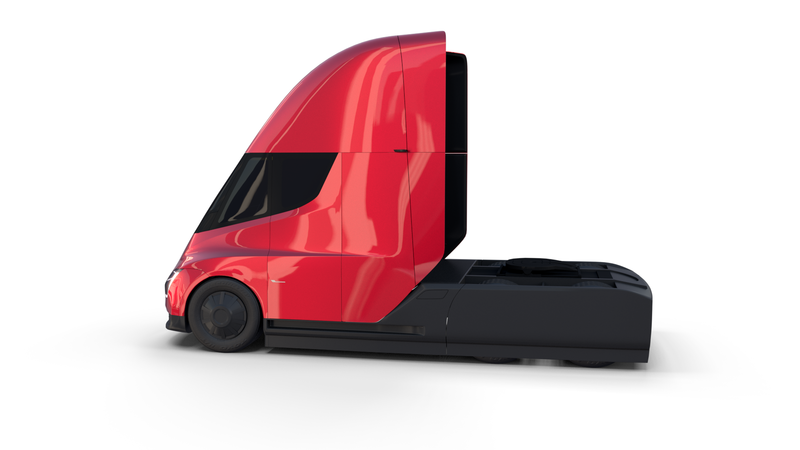 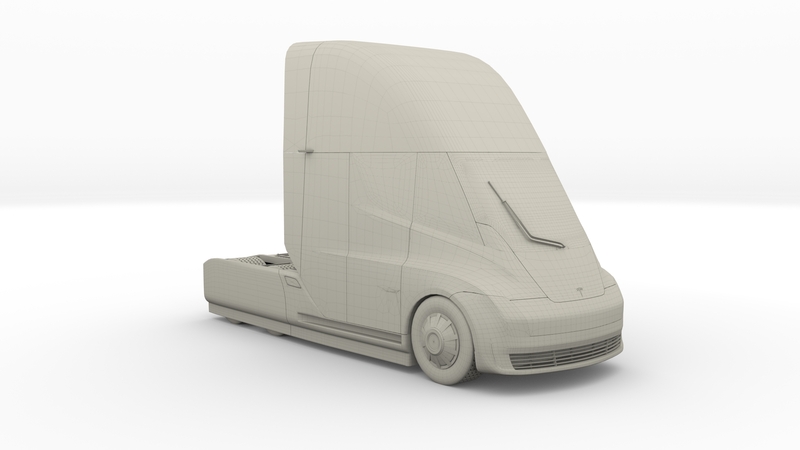 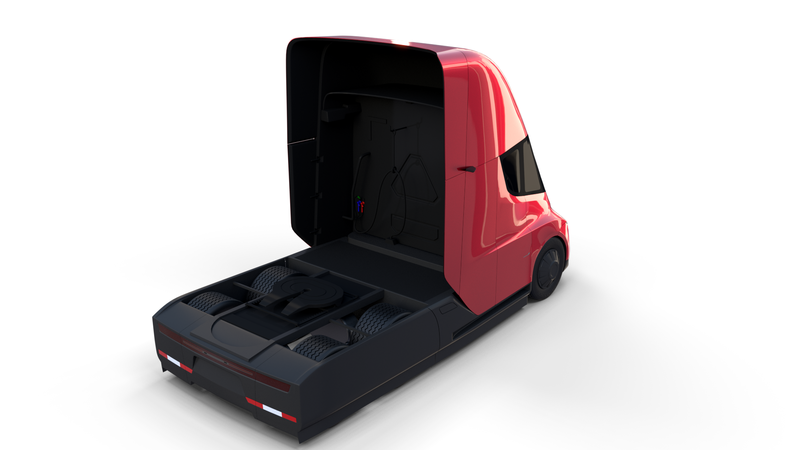 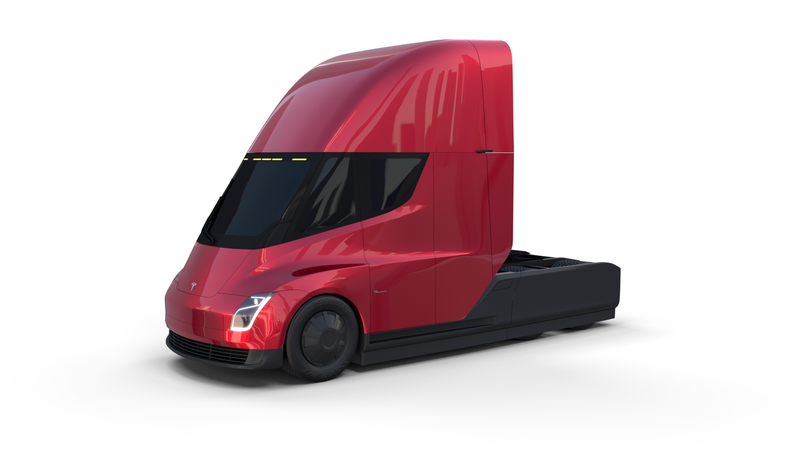 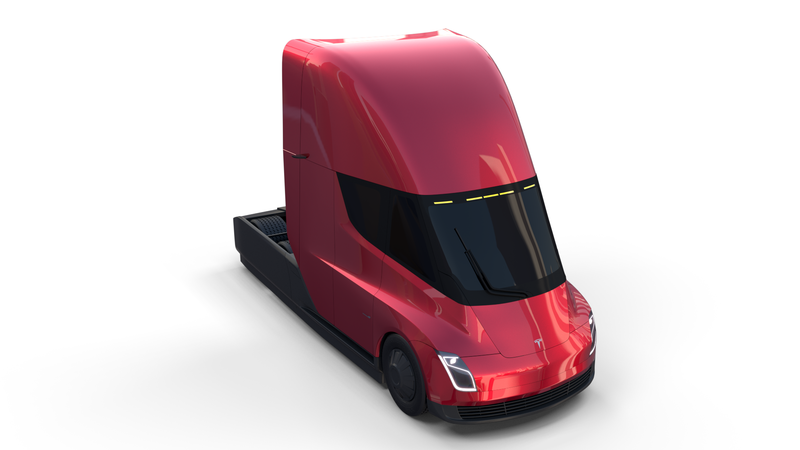 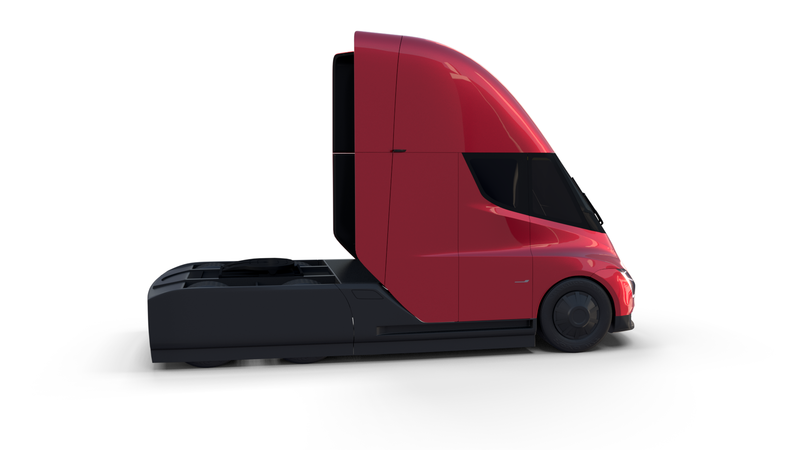 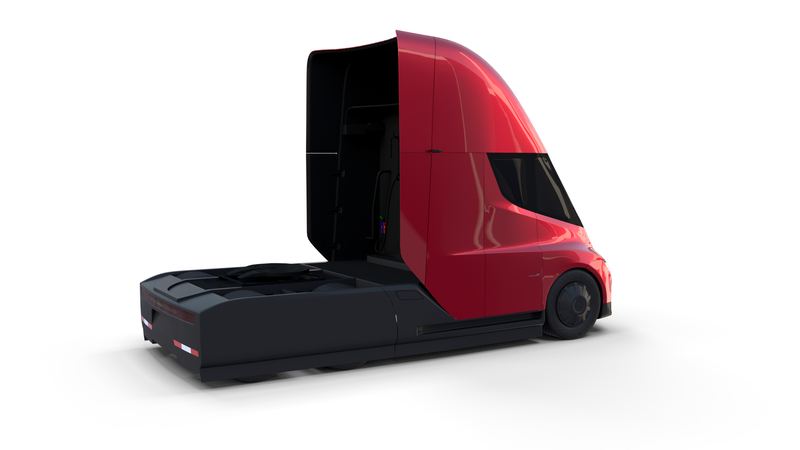 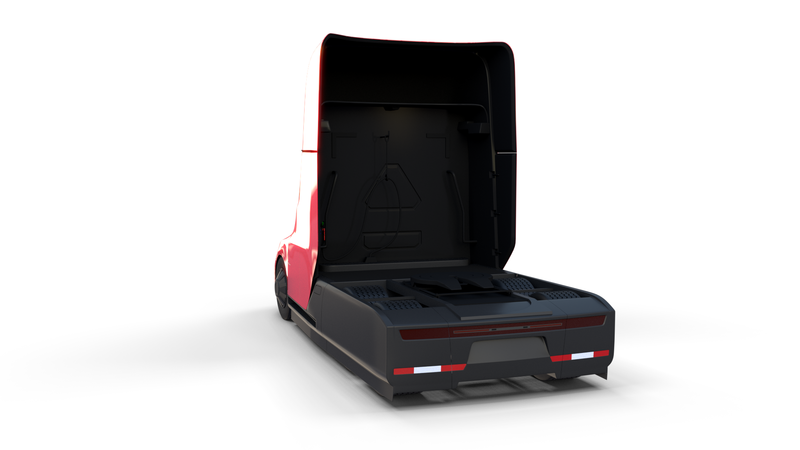 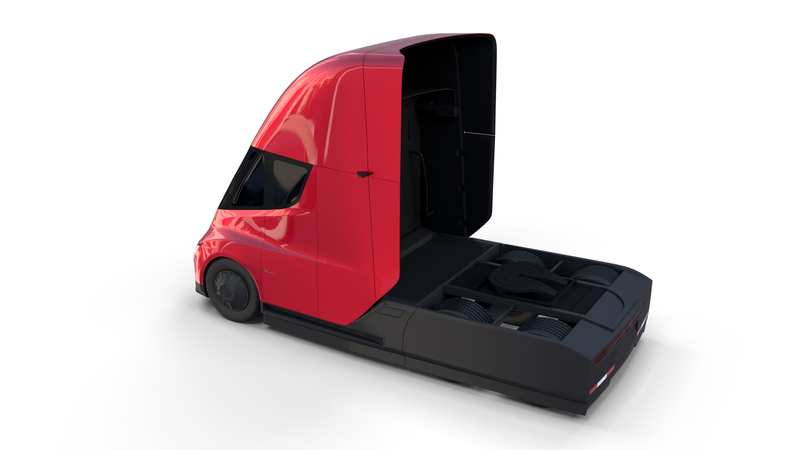 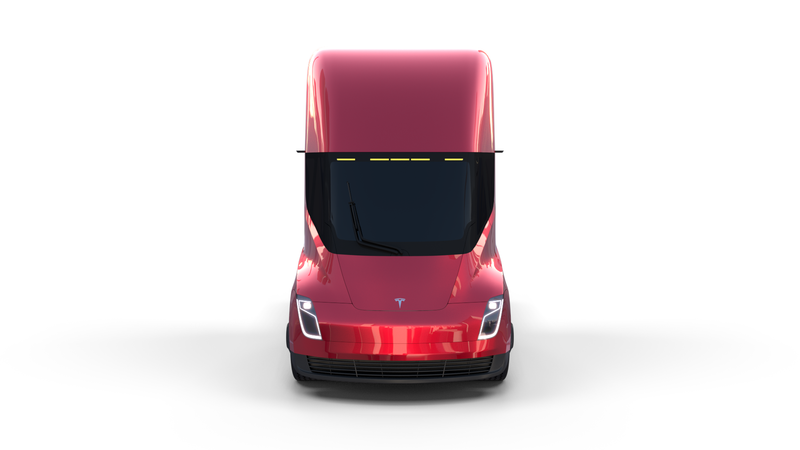 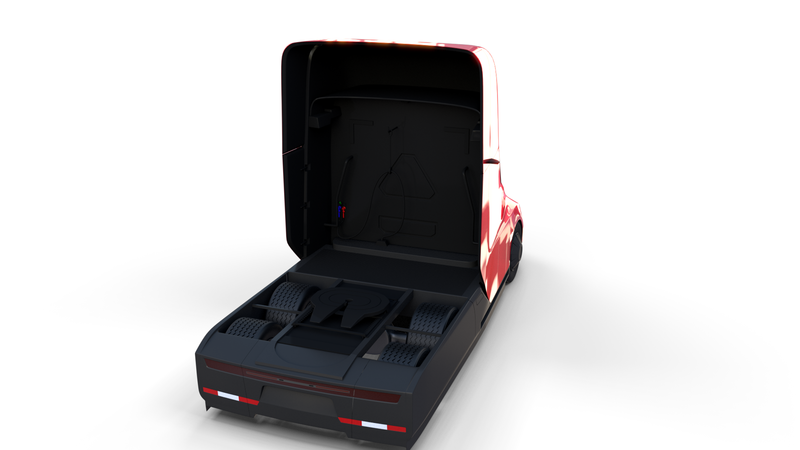 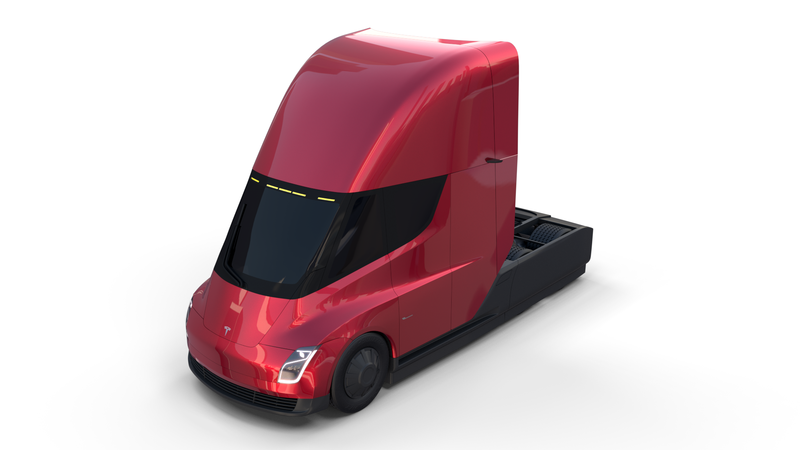 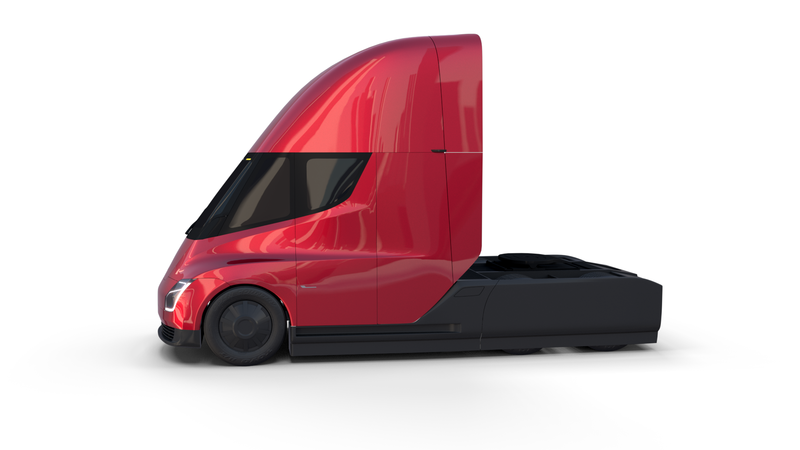 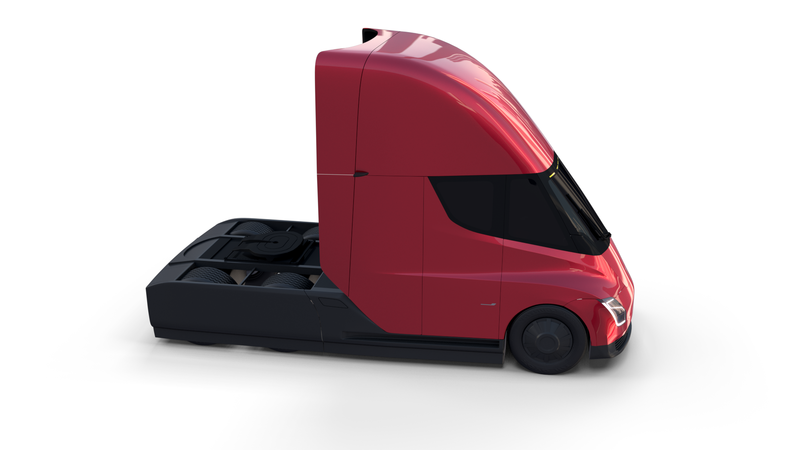 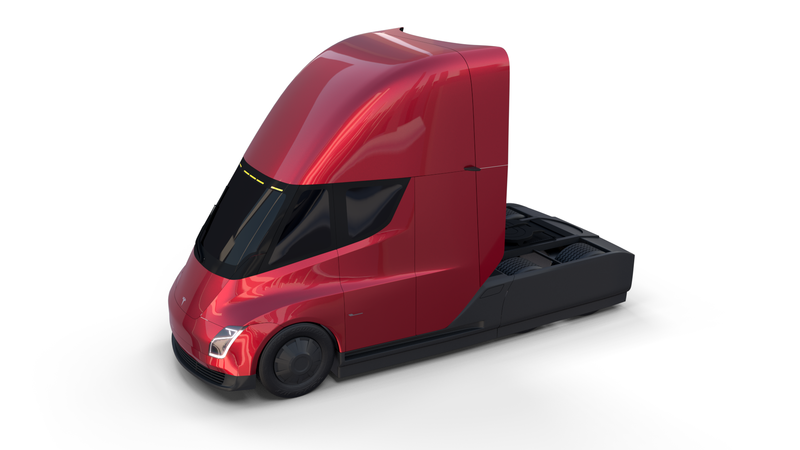 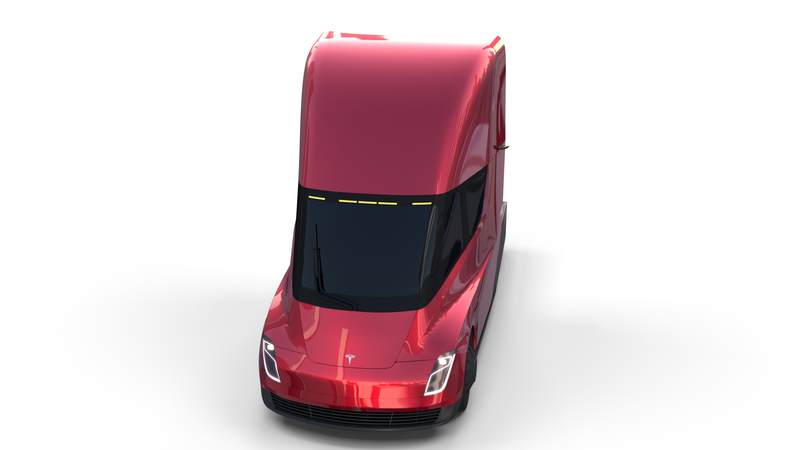 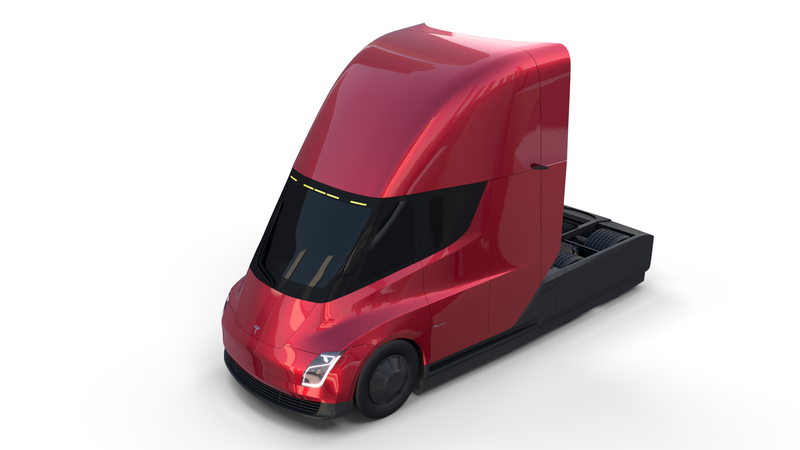 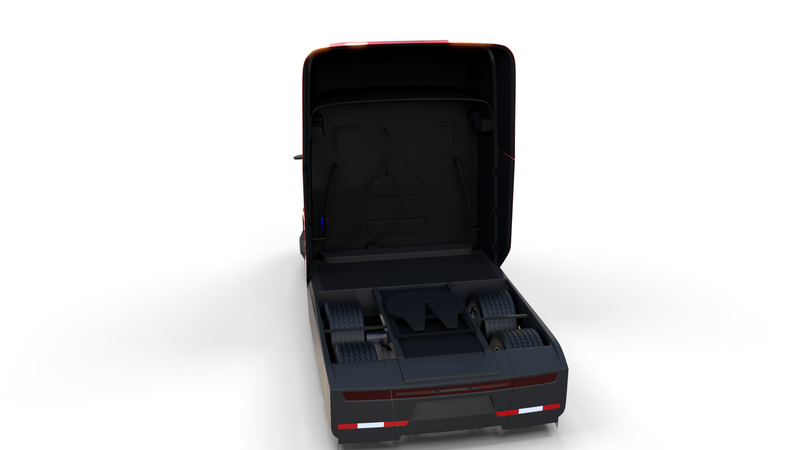 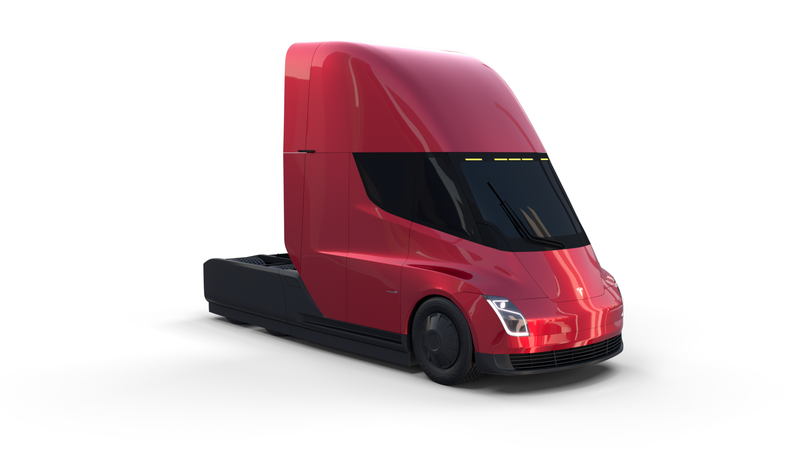 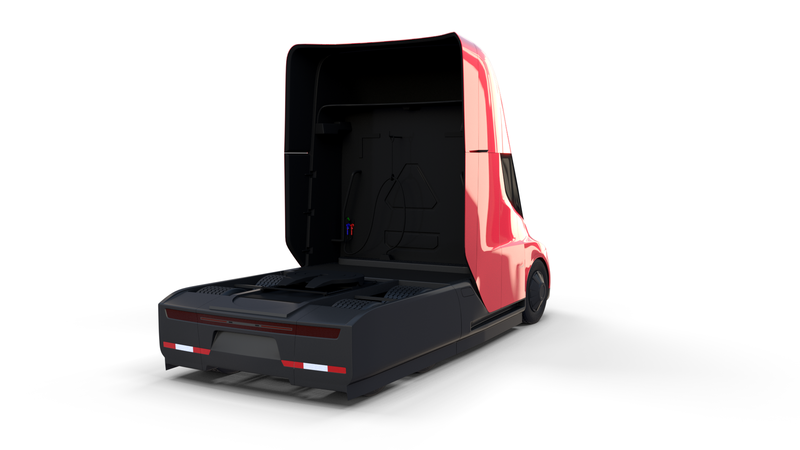 Tesla Semi Truck 3D model. 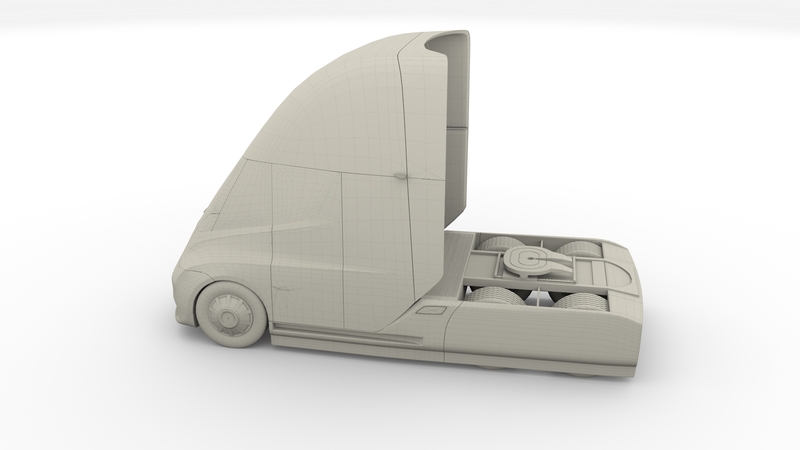 3D Software: This 3d model was originally created in Blender 2.79 and rendered with Cycles. 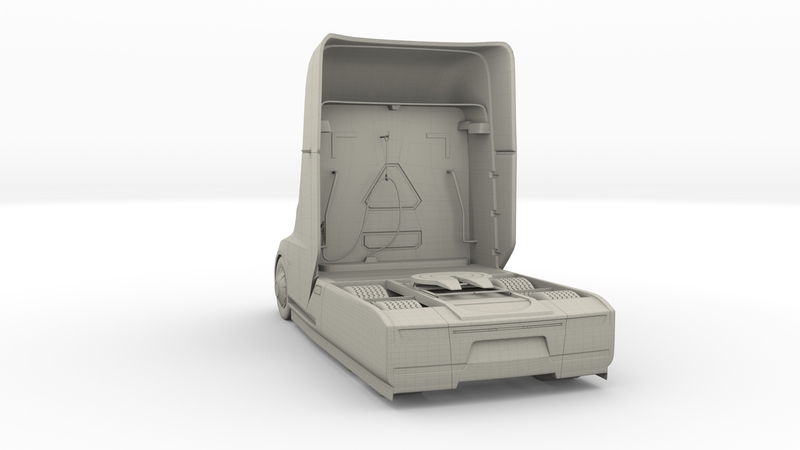 Materials and textures: The model has materials applied in all formats, and is ready to import and render. 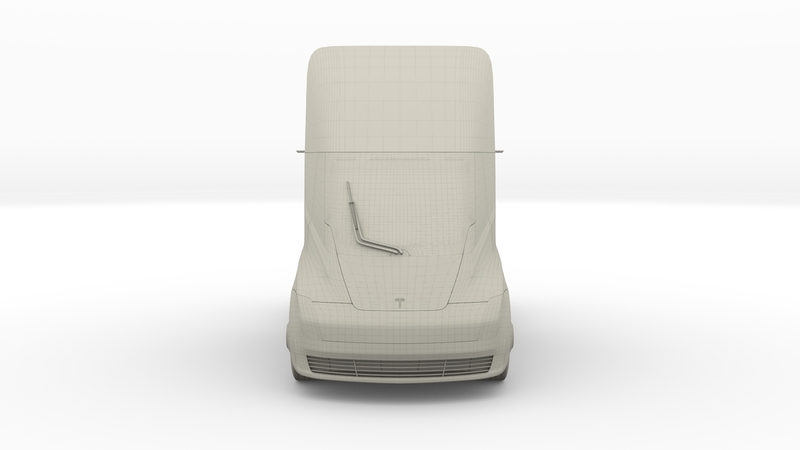 The model comes with multiple png image textures. 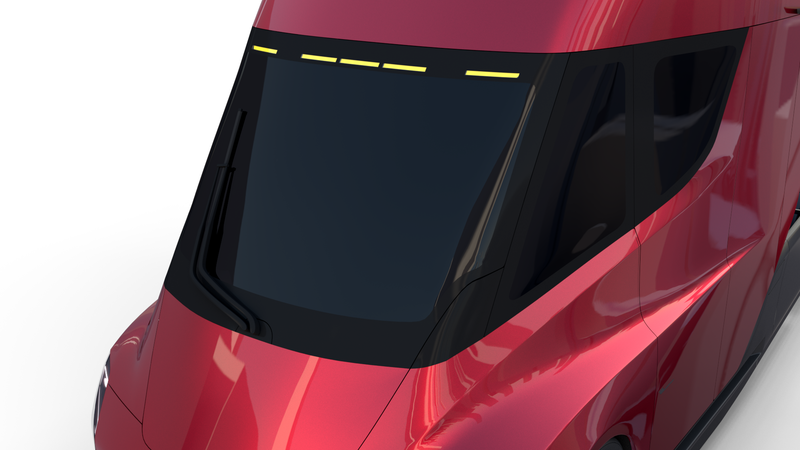 Preview scenes: The preview images are rendered in Blender using its built-in render engine ‘Cycles’. 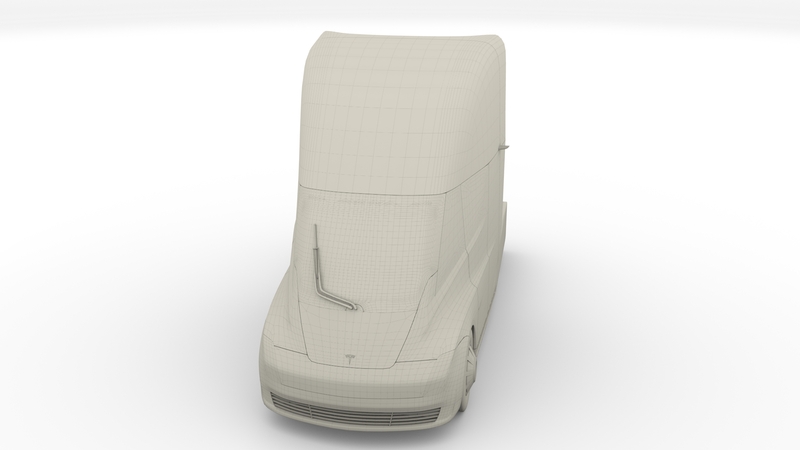 Note that the blend files come directly with the rendering scene included and the render command will generate the exact result as seen in previews. 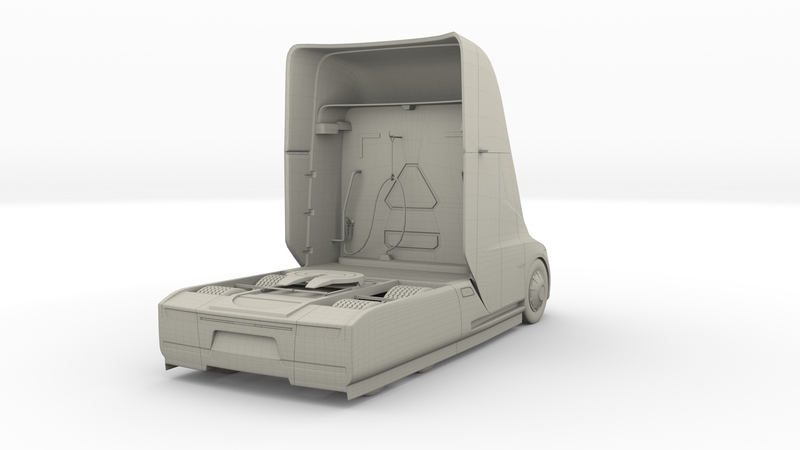 Scene elements are on a different layer from the actual model for easier manipulation of objects. 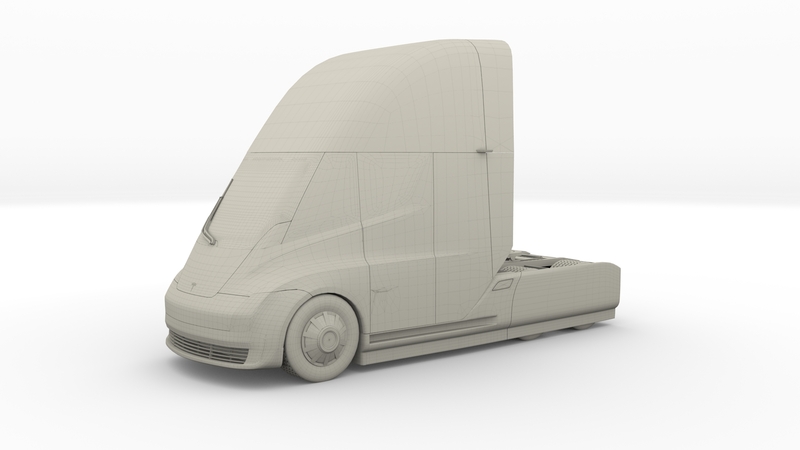 General: The model is built strictly out of quads and is subdivisable. 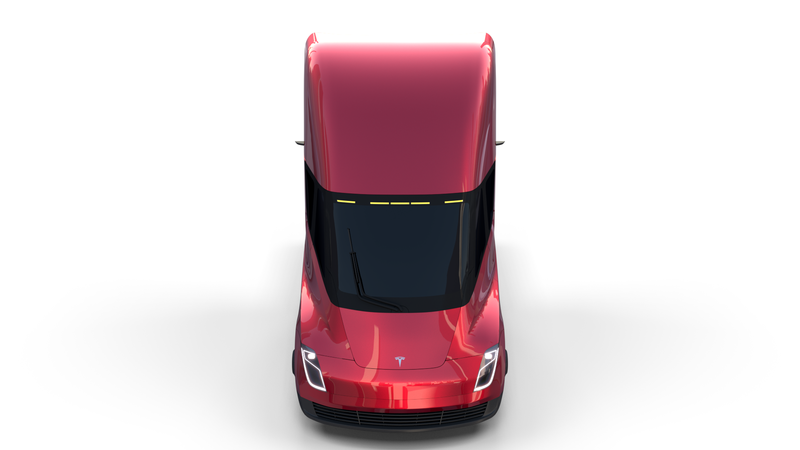 It comes in separate parts, named correctly for the sake of convenience.